Bibimbap lovers out there, come visit SURA Korean BBQ restaurant in Richmond, BC. 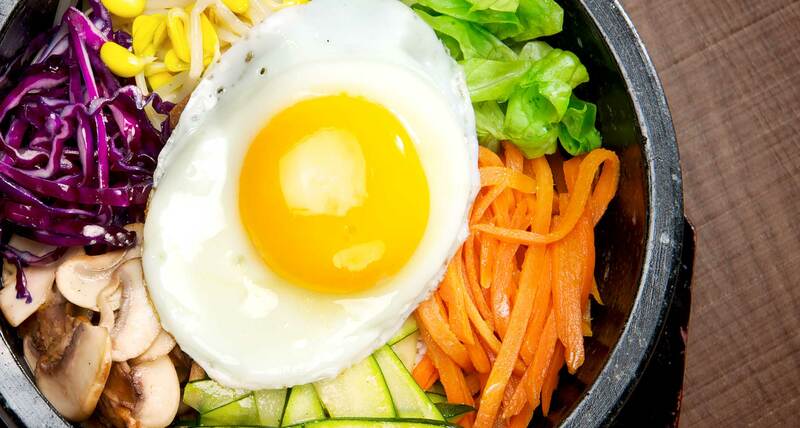 At the well known Aberdeen Centre Richmond, we, specializing in sizzling Korean BBQ, also serve the best Bibimbap ever. Here’s your heaven: a stone bowl of properly cooked steamed rice, chopped vegetables and meat, and runny egg yolks to bind it all together! The real binder to the whole dish is the exquisitely crisped rice that pulls away from the bowl—the holy grail of any bibimbap cook. Flavour it with that egg yolk and a scoop of gochujang, savoury Korean red chili paste, to add some heat. Our bibimbap is well worth making a trip to Aberdeen Centre and dine here at SURA Korean BBQ restaurant.